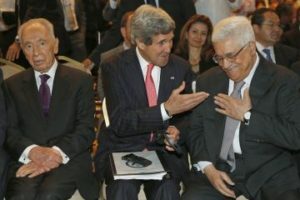 WASHINGTON — The country of Israel announced that they will cut back ties with the Palestinian Authority (PA) after the Palestinians have not lived up to the peace talks. Reuters reported that Israeli officials acknowledged that they will not meet with their counterparts in the PA.
Prime Minister Benjamin Netanyahu ordered his cabinet members, directors-general of Israeli government ministries and others to not meet with the PA. The only exception is Justice Minister Tzipi Livni, the country’s top peace negotiator. He and the U.S. negotiation team are trying to get the talks past the April 29 deadline. The peace talks have not gone well under the Obama administration, as talks broke down last year in 2013. Why the move? Netanyahu felt that the Palestinians have not lived up to their commitments according to the peace talks. There could be economic sanctions coming soon, which worries the Palestinians.